Situated at the foot of Scotland's Ben Nevis, Fort William Golf Club is a wonderfully scenic, but tough course for the mid-to-high handicapper that requires good course management and penalises wayward golfers. If you are straight off the tee you will make the greens in regulation, giving yourself a chance for a good score. Greens runs true, but can sometimes feel wet underfoot; something you would perhaps expect when playing a course at the bottom of the UK's highest mountain in Scotland. Players will enjoy the natural beauty of this hilly course and its surrounding scenery, but beware most holes are uphill and play longer than their yardage. 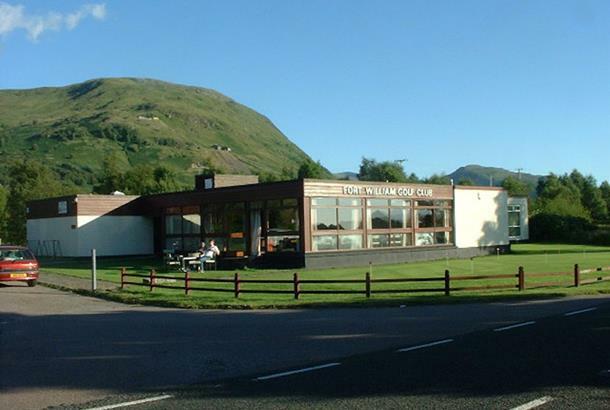 Fort William Golf Club sits right at the foot of Ben Nevis, Britain's highest mountain. An 18 hole heathland course with a fine mix of challenging and varied holes this layout was constructed in 1975 and featured a major overhaul in 1995. Those improvements saw the playability of the course greatly enhanced without losing its appeal to beginners and more experienced players. The 125-yard par-three, 6th is the signature hole. Here, you must negotiate the Highland burn and trees that surround the wide green. Leave it short and you're likely to cause serious damage to your card. This course is situated at the foot of Ben nevis and scenery is worth the walk alone. The course is a tough test for the mid-handicapper with fantastic greens though some fairways were a bit mossy. We got a great welcome in the clubhouse and really enjoyed our visit.